We aim to look after you and your car with total care and attention to detail. A lifelong fan of Jaguar cars, David Marks had acquired examples of 6 and 12 cylinder models and carried out all the maintenance etc on these himself. During this period, he not only became proficient at identifying and curing faults on these cars, he also realised from conversations with like minded people, that there was a niche in the market for someone with the knowledge and familiarity of the complex electrical systems of these cars that could be exploited. With this in mind, David Marks Garages was established in September 1991. From the very beginning the business was aimed at owners of cars, three or more years old, who felt happier, for whatever reason, taking their vehicle to an independent specialist rather than the main dealer network. As a result of continued growth, the business rapidly expanded and the original premises (in Bunny near Nottingham) became too small for the size of operation. In early 1998, the business moved six miles to the present address on the outskirts of Nottingham. These premises, with a workshop floor space of over 2,500 sq. ft. are nearly triple the size of the previous one. This increase in size has enabled David to take on particularly difficult and long term restorations and upgrades, without any adverse effect upon the main area of business, namely the maintenance and care of the modern Jaguar. Now a range of more bespoke services can be provided including, for example, retrofit air conditioning, right hand drive and left hand drive conversions and transmission/drive train alterations. 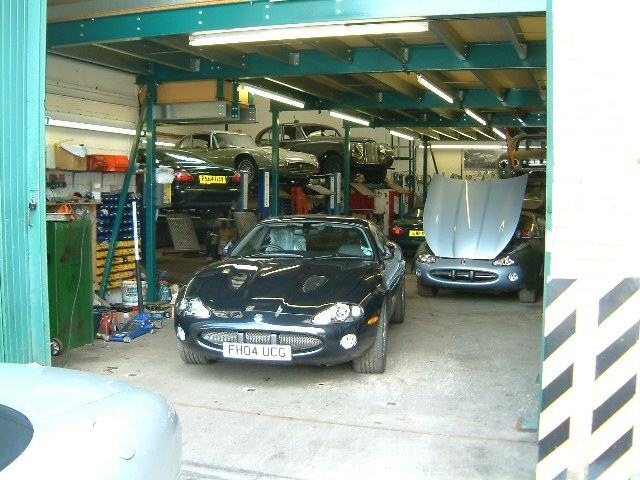 About four years previously, due to the volume of vehicles passing through, David engaged the services of an extremely experienced Jaguar mechanic, Robert Middleton, who with his true flair with these cars has contributed significantly to the success of the business. Largely as a recognition of this, late in 1998, David Marks Garages became a partnership between David Marks and Robert Middleton. 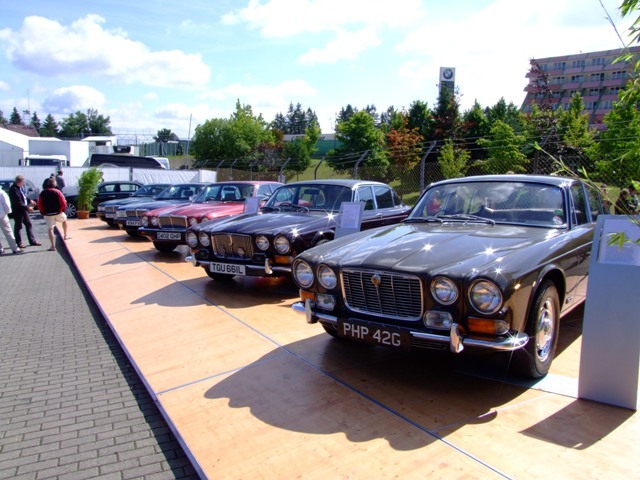 We are proud to have worked closely with the Jaguar Daimler Heritage Trust (JDHT) in association with the Jaguar Enthusiast's Club (now the largest membership Jaguar owners club in the world) to restore some of the most famous cars in Jaguar's Heritage. In 1992, the first of our projects for the JDHT and sponsored by the JEC, David took on the mechanical refurbishment of a 1968 Series 1 Jaguar XJ6, Reg. No. 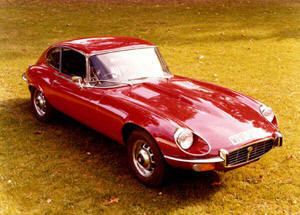 PHP 42G that was originally owned and driven by the founder of Jaguar Cars, Sir William Lyons. In 1996, we commenced the second of our projects. This was much more complex , involving the full restoration of WHP 205J which was the V12 E-Type fixed-head Coupe used to launch the Series 3 V12 E-Type range. 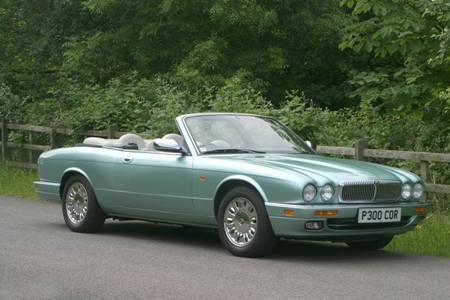 This was both the press car and featured in much of the Jaguar publicity. 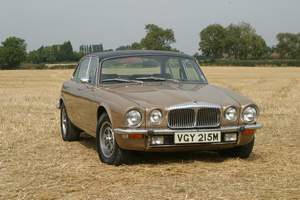 In 2001, once again, Jaguar asked us to restore this 1973 Daimler Double-Six Vanden Plas Series 2 XJ, VGY 215M. An even bigger challenge than WHP 205J , this car had not only been used by Sir William Lyons and subsequently Lord Stokes but had also been modified by Jaguar as part of their development programme. This included removing the carburettors and substituting electronic fuel injection and thus the restoration had to be sympathetic to its non-standard condition. 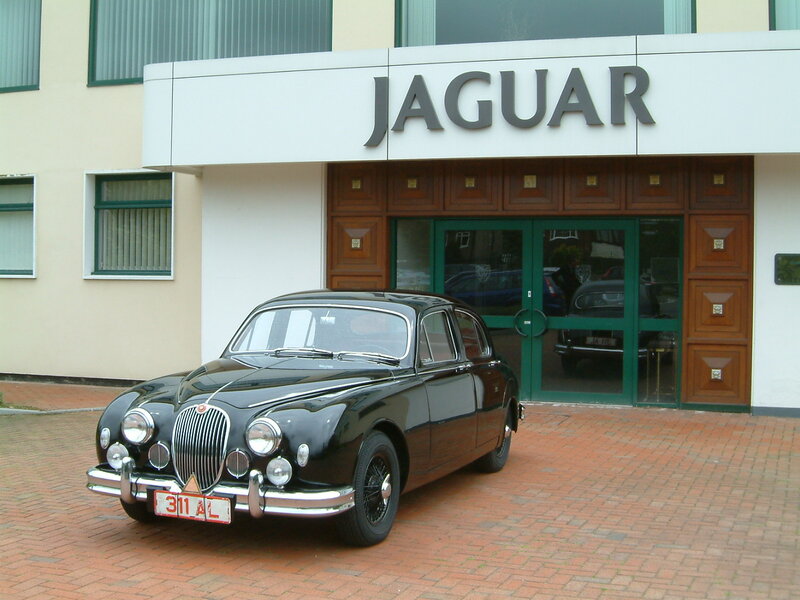 In 2004, we commenced the restoration of a completely different model, the 1955 Jaguar MK1. This car had been used by the prominent 1950's racing driver Paul Frere as his personal transport and is LHD due to his residence in Europe. Gifted to the JDHT by his son many years ago, this car had not been used for some decades. Even though it was a fairly straightforward restoration, it was a joy to work on a completely original and unmolested car. At the beginning of 2006, we began by far the most ambitious project for the JDHT. The Daimler Corsica Concept car was created in 1996 to celebrate 100 years of Daimler production and was used to showcase the coachbuilding skills of Jaguar Cars. Adapted from a 4-door saloon, this car was modified to be a 2-door convertible. Finally completed as a static exhibit ( with no powertrain, electrics or other systems), all who saw it expressed their desire to see the car as a fully functional vehicle. Investigation revealed that at an early stage a running vehicle was envisaged and therefore the bodyshell was strengthened appropriately. It was then decided that it would be possible to complete the car to running condition. The challenges were initially to strip to a bare shell this unique vehicle and install (amongst many other things) the engine, gearbox, air-conditioning, ABS and airbags. 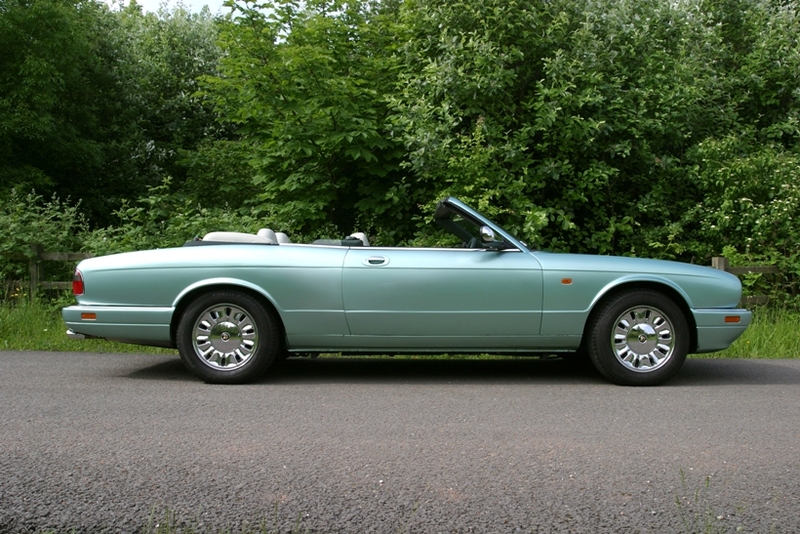 It was completed in 2007 in time to appear at the Daimler & Lanchester Owners' Club International Meeting in Wales, the NEC Classic Car show and JEC National Rally at Harewood House. Watch this space for future projects! !